As a landlord, you want the best possible tenant to occupy your rental. Therefore, you may wonder what kinds of questions you should ask during the tenant screening process. In order to weed out undesirable applicants and find a good long-term tenant, it’s important to ask questions that will help you to understand if your applicant will meet your expectations and vice versa. One of the best ways to save yourself time and effort during the screening process is to state your leasing criteria upfront in your rental advertisement. This is your opportunity to address things like pet restrictions or policies, parking arrangements, and other screening criteria so applicants can predetermine if they’re a good fit for your property. This effort could help to give you a smaller, but more qualified pool of prospective tenants from the start. By setting expectations upfront and only showing properties to people who are at least somewhat qualified, you can be more efficient with your time – and for a busy landlord, time is money. Once you have a pool of applicants you can begin scheduling property tours, which is the perfect time to ask your applicants more questions about themselves. Below are eight of the top questions you should consider asking your applicants to begin evaluating their potential as a tenant for your rental property. As a landlord, you want the best possible tenant in your rental. Therefore, you may be wondering which questions to ask a potential tenant during the screening process in order to weed out undesirable applicants and find a good long-term tenant. Have you ever been convicted of a relevant crime? Have you ever broken a rental agreement? Before taking a look at the best tenant screening questions, keep in mind what information you’re looking for in your applicants. One of the best ways to save yourself a lot of time and effort during the screening process is to state your leasing criteria upfront in your rental advertisement. This is your opportunity to address things like pet restrictions, parking, and other screening criteria so applicants can determine if they’re a good fit for your property. This gives you a smaller, but better qualified pool of applicants from the start. By setting expectations upfront and only showing properties to people who are at least somewhat qualified, you can be more efficient with your time—and for a busy landlord, time is money. Once you have a pool of applicants you can begin scheduling property tours, which is the perfect time to ask your applicants more questions about themselves. Below are 10 of the top tenant screening questions you should be asking your applicants to evaluate their potential as a renter of your rental property. 1. WHAT DATE WOULD YOU WANT TO MOVE IN? This is one of the best preliminary tenant screening questions because it quickly establishes whether or not you and your applicant would be the right fit for each other. Perhaps you have a vacancy that needs to be filled immediately, but your potential tenant can’t move in for another month or so. Or, perhaps the applicant is looking for somewhere to live immediately. This should be one of the first questions to ask potential tenants, because if you determine your unit won’t work out for each other’s timeline, you’ll save yourself the time and hassle of going through the rest of your tenant screening questions. This preliminary tenant screening question will help to pre-qualify applicants before you conduct a more formal screening. If they have pets and you don’t accept animals, then you’ve saved both yourself and the applicant time and effort. If you do allow pets but have restrictions on the number or size of pets, this is also the time to let the applicant know. Now might also be the appropriate time to let them know of any pet fees/deposits you may require for their furry friend(s). If they have pets and you don’t accept animals, then you’ve saved both yourself and the applicant time and effort. If you do allow pets but have restrictions on the number or size of pets, this is also the time to let the applicant know about your specific pet policy. If your applicant is bringing Fido along, it’s best to let him or her know how much you charge for a pet deposit and if it’s on a yearly or monthly basis. Inquiring about the duration of their past and current residencies is a smart to ask potential renters. If they seem to lack stability, hopping around from property to property, chances are that they’re likely to do the same to you, leaving you with a vacancy to fill. 4. WHY ARE YOU MOVING? Take time to learn about the reason behind the prospective tenants’ move, this simple yet mighty question could help to reveal past issues, such as prior evictions. 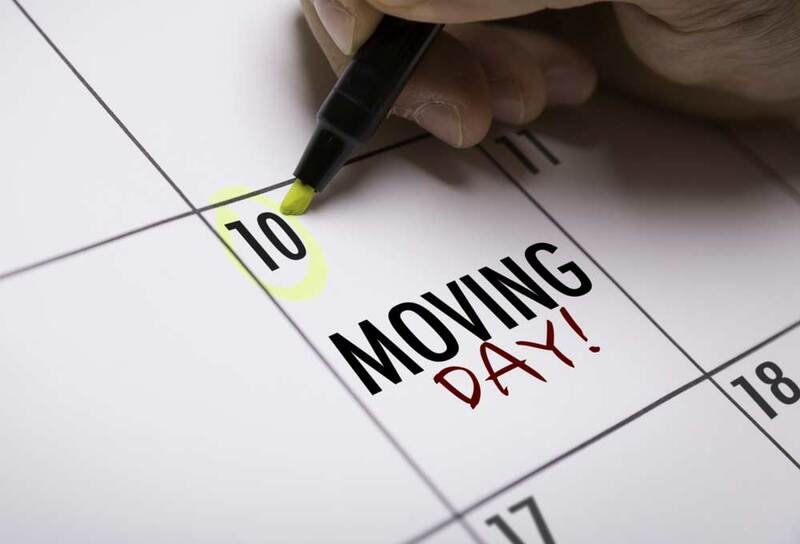 A few reasonable explanations for their move may be because they’ve outgrown their current apartment or want to shave time off their work commute. Note: Don’t take an applicants’ answers at face value. Make sure you follow up with a landlord reference check to help ensure you don’t accept a tenant who won’t pay rent on time or is in the eviction process. 5. HOW MANY PEOPLE WILL OCCUPY THE UNIT? You want to make sure there are enough bedrooms for all who will be staying in the rental and that you don’t exceed legal limits. Five friends looking to move into your one bedroom apartment might not be a good fit. This is an important tenant screening question due to the extensive property damage smoke can cause. You might not get an honest answer when you screen prospective tenants for smoking, but you could potentially see a pack of cigarettes or smell smoke that might have you thinking otherwise. This would be a good time to reiterate to your prospective tenant of any smoking policy you may have and consequences that could occur if the smoking policy is seen as neglected. Be sure to include these details in your rental or lease agreement. 7. WHAT IS YOUR MONTHLY INCOME? According to a 2014 SmartMove user survey, payment problems are one of landlords’ top concerns with new tenants, so this should be one of the first questions on your radar. The industry standard is a monthly income that is three times the rent. This gives the tenant enough to spend on other expenses and keep a cushion in case any costs like car repairs or medical expenses should arise. Along with pay stubs and an employment reference, you’ll want to analyze the tenant’s income with Income Insights, a SmartMove tool that estimates tenant income based on their credit behavior. 8. HAVE YOU EVER BEEN CONVICTED OF A RELEVANT CRIME? 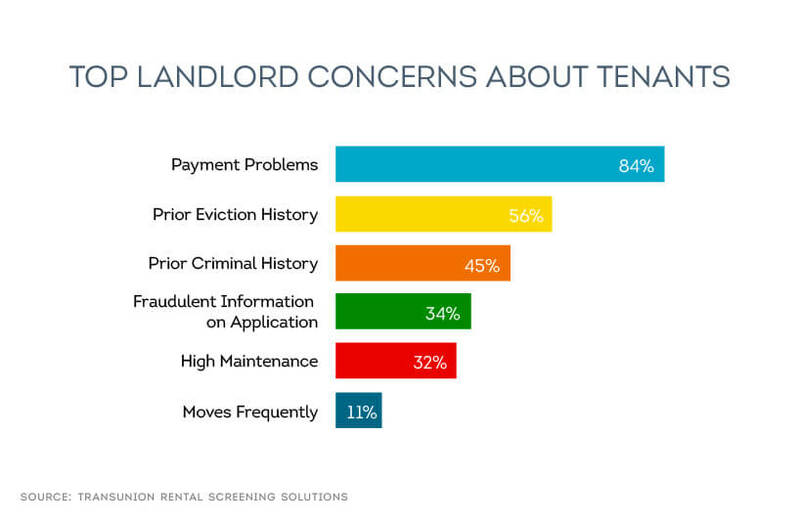 Many landlords generally view criminal history and income as important in their screening decision. 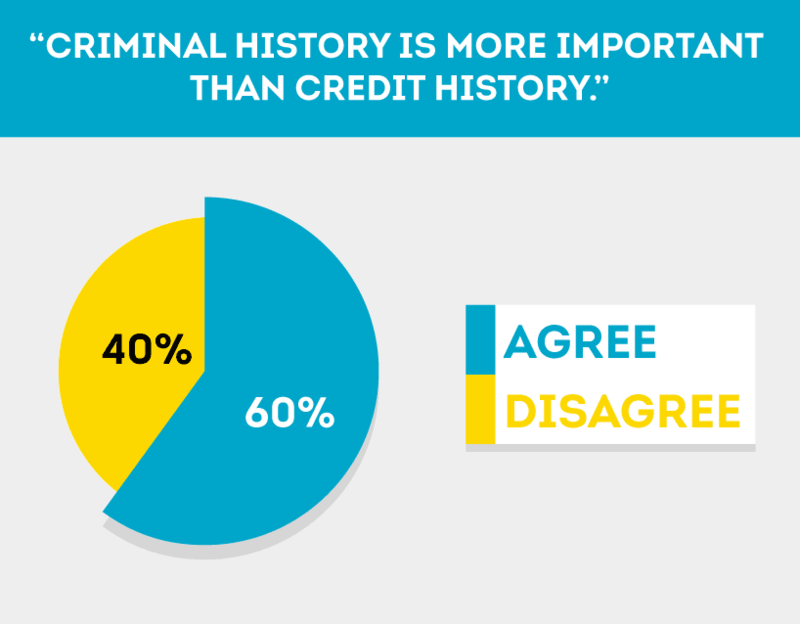 A recent SmartMove user survey showed that 60% of landlords strongly and somewhat agreed that criminal history is more important than credit history. It’s not surprising to see the importance of criminal history to landlords. In 2015, 22% of applicants screened by SmartMove had a criminal hit on their record. This is an important piece of an applicant’s background that you’ll need to check before deciding if the applicant is right for your property. 9. HAVE YOU EVER BEEN EVICTED? A thorough screening will help answer this question for you, but inquiring further with your potential tenants in person gives the applicant the chance to explain the situation. TransUnion research shows that past evictions are predictive of future evictions, so if they say yes, you’ll want to proceed with caution. However, if there were extenuating circumstances and their current financial standing is in good order, it may not impact your decision to accept them as a tenant. 10. HAVE YOU EVER BROKEN A RENTAL AGREEMENT? In some cases, an applicant might have moved out not necessarily due to eviction, but because they broke their rental agreement and ended the lease early. In some cases this may be understandable—such as in the case of new construction or unruly neighbors—but without significant reason, this could be a red flag. Make sure this is one of the questions to ask a previous landlord during a landlord reference check to verify the provided information. Many landlords want to go by their “gut” feeling when reviewing rental applicants. However, regardless of how an applicant answers any of the questions above, many landlords will not wholly trust information provided at face-value by a prospective tenant. According to our 2016 Smart Move survey, 86% of landlords will verify an applicant’s information. All these questions to ask potential tenants should be followed up by a thorough background check to verify no signs of a picking the wrong tenant, since applicants may purposefully give misleading answers, have a moment of forgetfulness, or pull figures from the air if they aren’t completely sure of especially when put on the spot. A complete tenant screening is one of the most crucial steps in finding a good tenant. SmartMove’s online tenant screening services include comprehensive credit history, criminal background and eviction reports, and Income Insight report from TransUnion, so you can trust that your reports will be accurate and up to date. Making more informed decisions about applicants will help to protect both your property and rental income. By implementing a consistent tenant screening process and asking the right kinds of questions, you will have a much greater chance of finding reliable, profitable tenants.